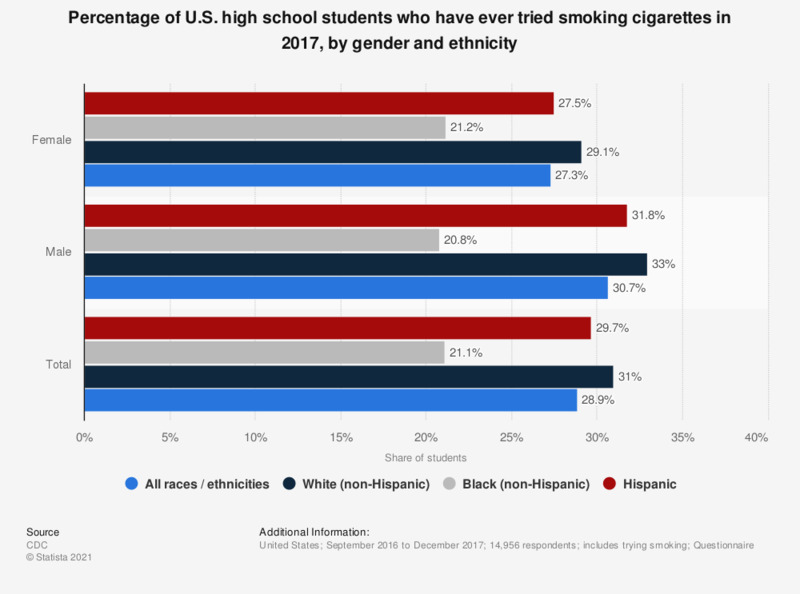 This statistic shows the share of American high school students in grades 9 to 12 who stated they have been smoking cigarettes at least once, or tried cigarette smoking, if only with one or two puffs, by gender and ethnicity. During the survey, 27.5 percent of female student respondents with a Hispanic background stated they have smoked cigarettes at least once or have tried smoking at least once. * Ever tried cigarette smoking, even one or two puffs.